On Sunday afternoon the 2019 renewal of the feature BATHURST CUP over 1800m was won by Dynamic Syndications Gai Waterhouse and Adrian Bott trained galloper CHOCOLATIER – our 4yo Gelding by REDOUTE’S CHOICE from LA PRALINE. Chocolatier started the $1.90 favourite and lived up to his name by producing a sweet victory for his ownership team, running away from the chasing ruck to win by 3.1 lengths over Chief Kidder ($10) and Welcome Art ($9) was another 0.8 away in third. He picked up $25,325 ($19,700 first prize + $5,625 in BOBS Extra Bonus money). 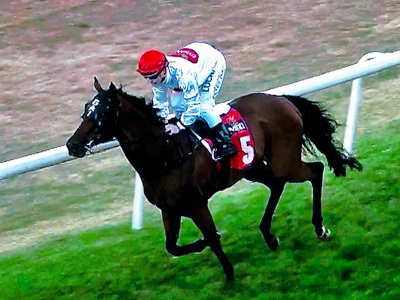 Chocolatier Wins Bathurst Cup from Dynamic Syndications on Vimeo. 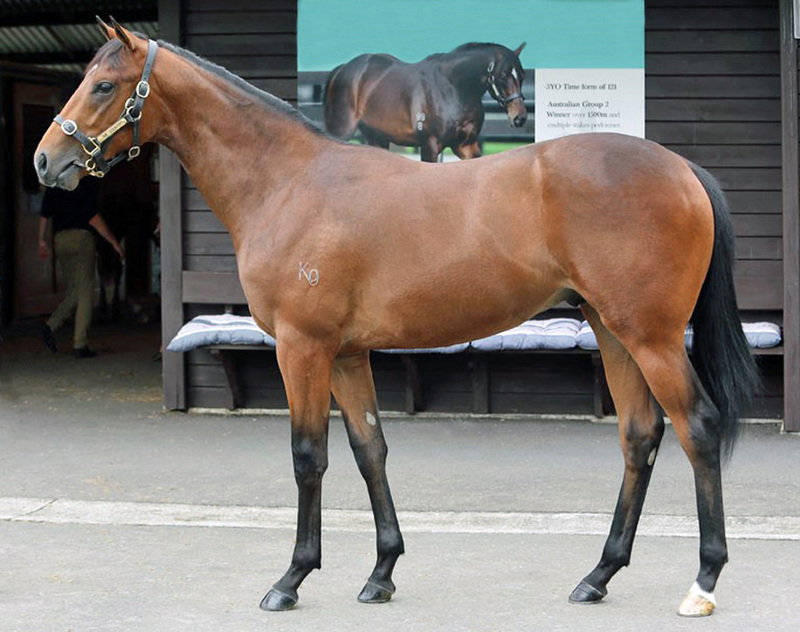 Purchased at the 2016 NZ Bloodstock Premier Sale, the son of Champion Sire Redoute’s Choice was always going to run a middle-distance trip and being bred in NZ was always going to take a little time to mature. Now he has reached a maturity level to see him compete physically with his peers, the future is looking promising for our lightly raced middle-distance style galloper. 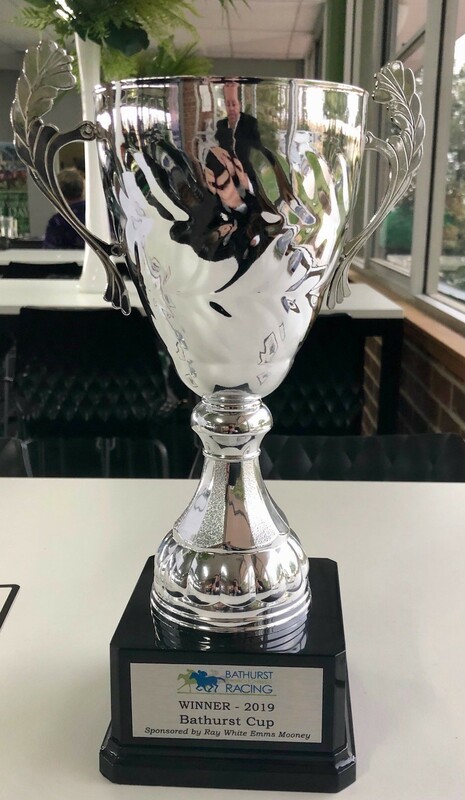 In this 2019 Ray White / Emms Mooney BATHURST CUP, CHOCOLATIER was beautifully placed. He was having just his 8th Race start and has now taken his career to 8 starts: 3 Wins, 0 Seconds, 3 Thirds, 1 Fourth, 1 Fifth, winning at 1600m, 1800m (2) and earnings of $78,100 which includes $11,250 in BOBS Extra bonuses. This is just Chocolatier’s second racing preparation. At his first preparation, he ran fifth on debut over a short 1400m at Kembla, before winning at his second race start over 1600m at Newcastle and then, was edged out into 3rd spot at his third race start at Newcastle. He was then spelled, as connections were safe in the knowledge we had a nice horse in the making with time. Chocolatier resumed this preparation on Australia Day when 2.6 lengths third at Newcastle over an unsuitable 1350m. That start gave him the foundation to go second-up to a 1600m race at Gosford where his fitness told under 60kgs to run fourth by just 1.6 lengths. Third-up we knew he was now fit and looking for a trip so we started him over 1800m at Hawkesbury where he ran his rivals ragged to win by 2.8 lengths. Next we took him to a tough, competitive 1800m race on the Kensington track where he was game running third by 1.3 lengths. Heading into this Open Company BATHURST CUP as a Benchmark 66 rated horse, he was well placed as he got in to the race at only 55.5kgs, just 1.5kgs over the limit. This was a significant drop in weight from the 60kgs he’s been carrying and Chocolatier certainly appreciated both the drop in Weight and drop in Class. In typical Gai Waterhouse style, the instructions to jockey James Innes Jr were crystal clear. The horse is fit, well and ready so send him to the front, rate him well and he will be too strong. And that’s the way the race panned out. Drawing barrier 2 in the field of 14, as the gates crashed back, James was positive out of the gates and by the time they had run 100m, Chocolatier had established a clear length lead, as the balance of the field jockeyed for positions behind our runner. Twice through the run, annoyance factor long shots attempted to eyeball us, but James just let Chocolatier have a little more rein and they quickly dropped off. Approaching the home turn, James asked Chocolatier for a little effort and he dashed clear and by the time they straightened for the run home, he had established a 2 length break at the 300m. In the run to the line, James was never in danger and was therefore able to be soft on Chocolatier and having plenty in reserve, was able to coast to the post to record a widening 3.1 length margin. Acknowledgement also for the excellent job GAI WATERHOUSE and ADRIAN BOTT and their team at Tulloch Lodge are doing with yet another of our promising racehorses. Going forward, he is an interesting horse to place, as he loves wet tracks and will be exciting over 2000m and further during the Winter and then, he will be given a let-up so he can come back and have a look at some of Cup races over the Summer in Sydney. Chocolatier was also paid-up as a yearling for the BOBS Extra bonus monies and this win was the second bonus he has earned from his past 3 starts, adding $11,250 in additional prizemoney. Fellow owner Noel Patterson was the designated spokesperson for the ownership team on the day. Noel commented it was a great feeling to see the gelding living up to his potential. "This is my first Bathurst Cup. I love the country races.” he said. This win in the BATHURST CUP recorded Dynamic Syndications 575th overall Race Win and our 33rd Race Win this Season.